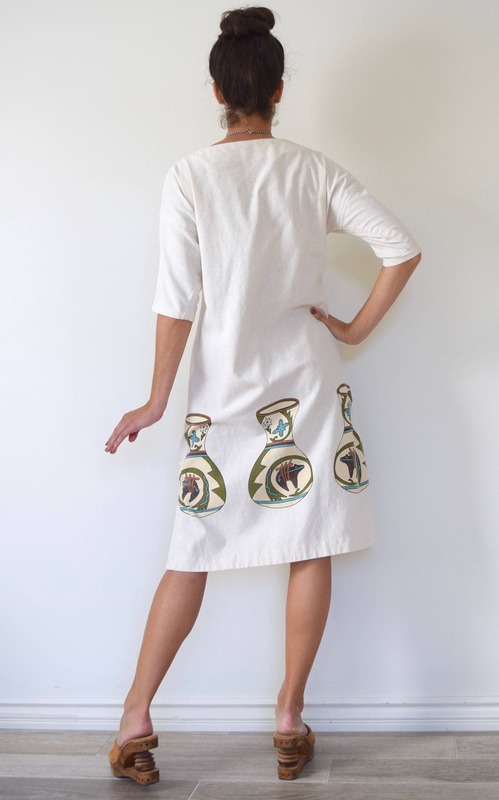 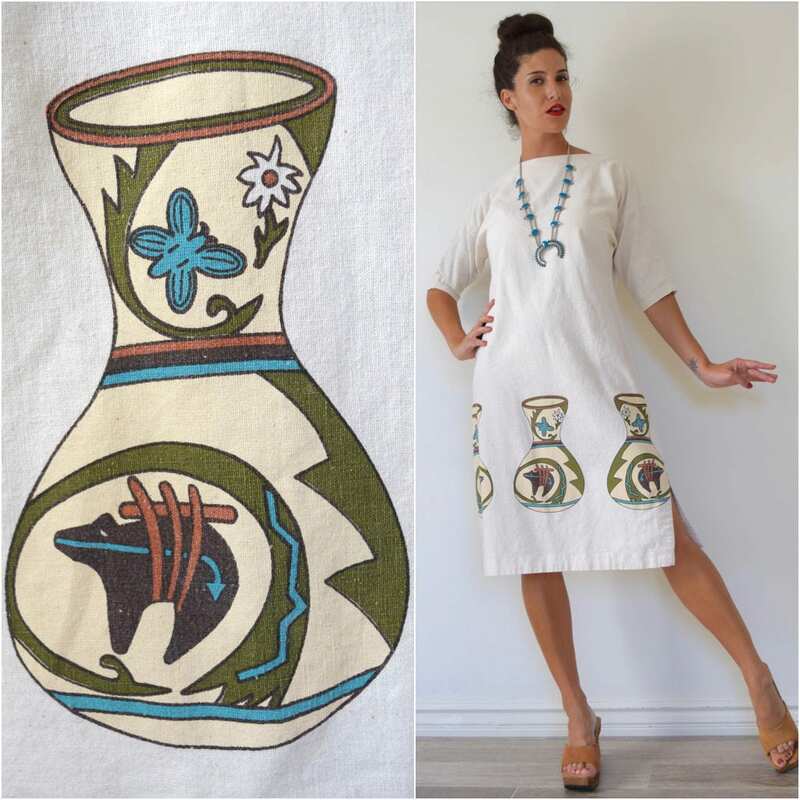 Pullover style minimalist shift dress featuring a unique Alaskan pottery print. 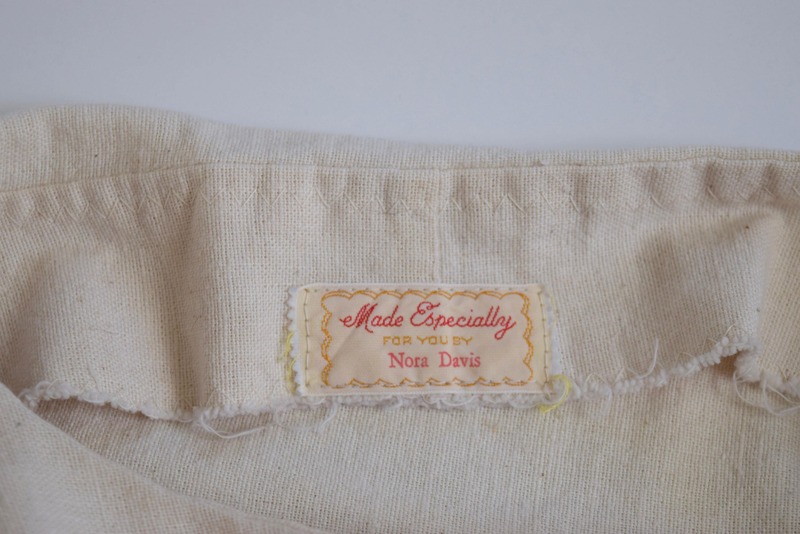 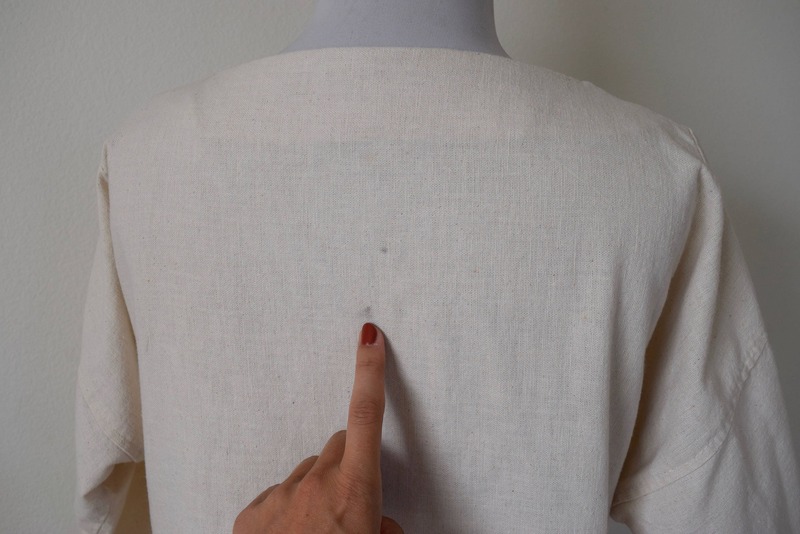 Condition: There are a couple small marks on the back of the garment near the middle of the neckline (see the last picture). 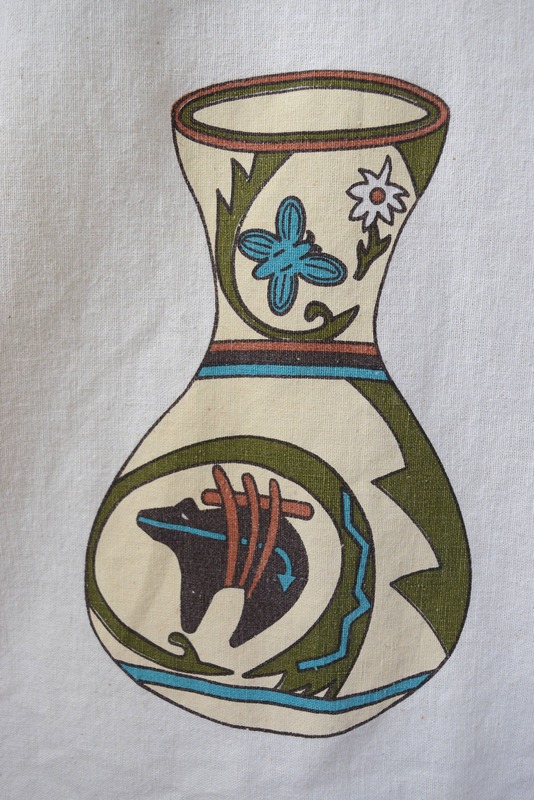 Other than that, it is in excellent condition! 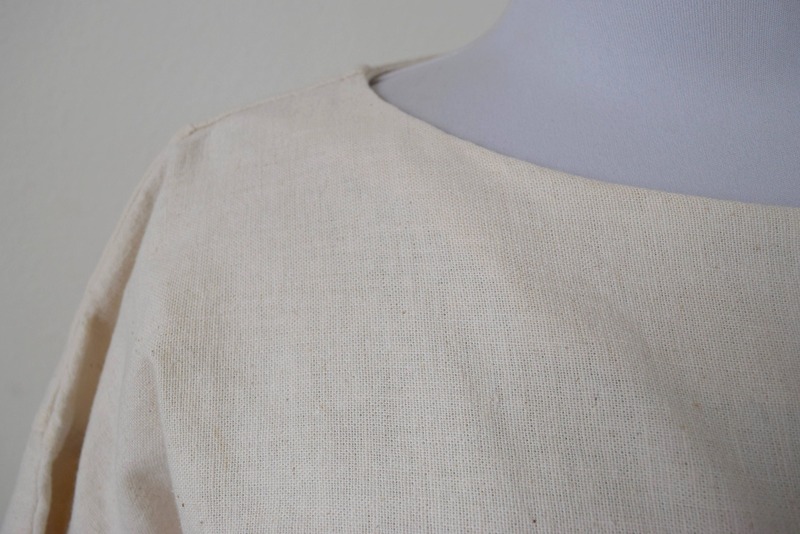 Has been washed and is ready to wear!